Glynn Burrows is a true Norfolk Dumpling, with roots going back in this fine county, to the C16th. Having been fascinated with family and local history since childhood, it is one of his proudest boasts to say that all of his direct ancestors so far discovered, lived within 50 miles of where he lives today! Having trained as a chef and after working in several places, including France, he married a Norfolk “gal” and settled in Gressenhall. He has two adult children. Now he is self-employed as an historian and offers bespoke tours of East Anglia. Most of his guests are people wanting to find out more about their own family history but he has also taken several professors, lecturers and writers around to places for their researches. He writes for several magazines and online publications, “appears” on an American internet radio show as their English Correspondent and is in the process of writing several local history books. Buy Local Norfolk is an obvious organisation for such a person. With a passion for his beloved county he hates to see how it is being decimated with the loss of individuality of the towns as well as the beautiful city of Norwich and he wants to step in and do something buy ventolin inhaler online before it is too late. Buy Local Norfolk is a step in the right direction! 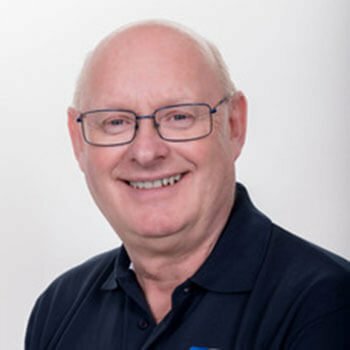 From HGV driver to a director of Buy Local Norfolk, Mark has had a varied career, including shiatsu practitioner and researcher. Mark and Jenny Wilding established Research Plus+ in 1993. They carry out business and social research across the UK. Research Plus+ helps the local business community find out what their customers think – what they really, really think. Originally from Yorkshire, this northern lad moved to East Anglia in 1988, where many of Jenny’s relatives have lived for generations. Sssh – some of them lived south of the border! 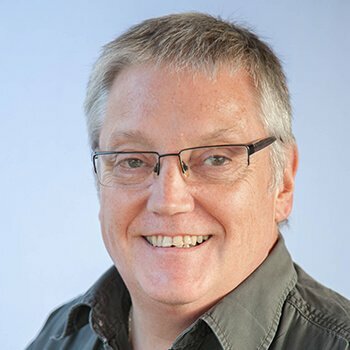 Mark is a keen user of social media for business, and has been asked to contribute as a guest blogger on a variety of blogs. He is an active contributor to the research and business community on Twitter, LinkedIn and Facebook. He also enjoys face to face networking and meeting people for real rather than just in cyber space. A born and bred Geordie from Newcastle, I’m proud to be considered an ‘honorary local’ having set up home in Norfolk with my two kids back in 1997. I do still miss the hills in the north East but I’ve never looked back – home is where the heart is, and mine’s right here. 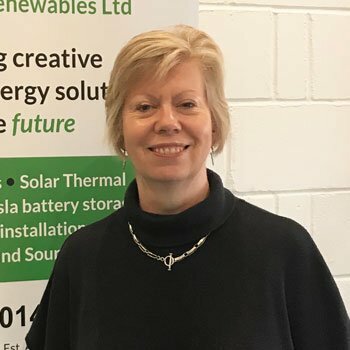 Passionate about protecting our planet for future generations, I run Inspired Renewables, a successful renewable energy company, alongside my husband, Andy. Supported by our growing team of like-minded locals, we’re keen to promote and contribute to a healthy, thriving, sustainable economy for Norfolk. As you would expect, I enjoy the great outdoors and am often seen pedalling the back lanes of south Norfolk or taking a brisk walk around the Broads, then back home for some of home-baked cakes…using locally sourced produce of course! I’ve been ‘doing my bit’ with Buy Local Norfolk for several years and am thrilled to now be one of its Directors. These are exciting times and there’s so much more we can do together to promote and support local businesses – I’m delighted to be part of that. Originally from North London, I moved to Norfolk in 2003 to set up my own business which became TBS Norwich Limited. I am passionate about owner managed businesses and their continued success. I appreciate the value that these businesses have on their local community and think the work of Buy Local Norfolk helps preserve our local high street and industrial estates from the onslaught of large corporations. I enjoy the Buy Local events and exhibitions. Meeting other local businesses is always interesting and provides an opportunity to learn. Aside from accounting I am very keen on technology and the power of the internet and automation in the modern business landscape. I also have a young family who keep me busy! Roger is a born and bred Norfolk boy, born in Nelson’s own birth place, Burnham Thorpe. He stands by a quote from Nelson: “I’m a Norfolk man and proud of it”. 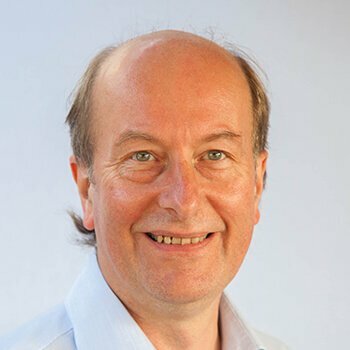 With over 40 years’ experience in the communications industry, his business, ALine Telecomms Ltd, provides solutions in telephone services, WiFi, Broadband Alternatives, CCTV and Hearing Loops for the hearing impaired. Nigel has had a very varied career path. After his BA (Hons) in Russian and French at the UEA he worked as Toy Librarian at the Hamlet Centre; tax officer in Norwich 4 Tax Office (which amusingly is now his home!) and tax assistant in Cathedral Close. He moved away from Norwich in 1998 to train to be a primary school teacher. He reached the dizzy heights of Headteacher – a job which he did for ten years – eventually resigning very publicly on Nicky Cambell’s phone in on Radio 5 (he hopes that this helped the demise of Michael Gove). 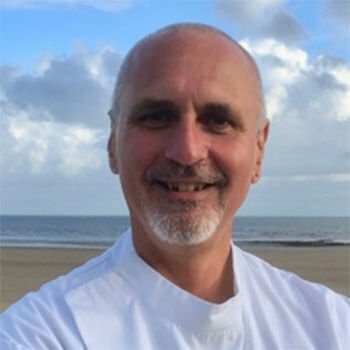 He trained as an osteopath at the European School of Osteopathy and Swansea University – graduating with a Masters in Osteopathy with First Class Honours. He has opened a clinic on Prince of Wales Road and looks forward to playing a part in regenerating the area. There was no choice in his mind as to where to set up his clinic. He has always loved Norwich and has always wished to return. 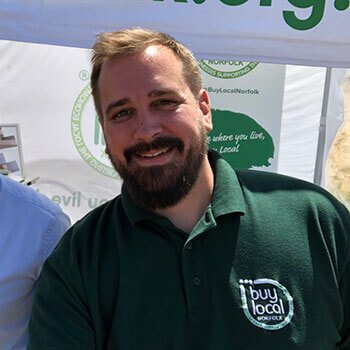 Supporting the local community while thinking globally makes absolute sense and he is thrilled to be a part of Buy Local Norfolk.